The YotaPhone 2 runs an unmodified version of Android 4.4 KitKat, but YotaPhone committed to updating it to Lollipop later this year. (We'll discuss the Always-On display and its menu system separately.) The basic experience using the main screen is simple to master. 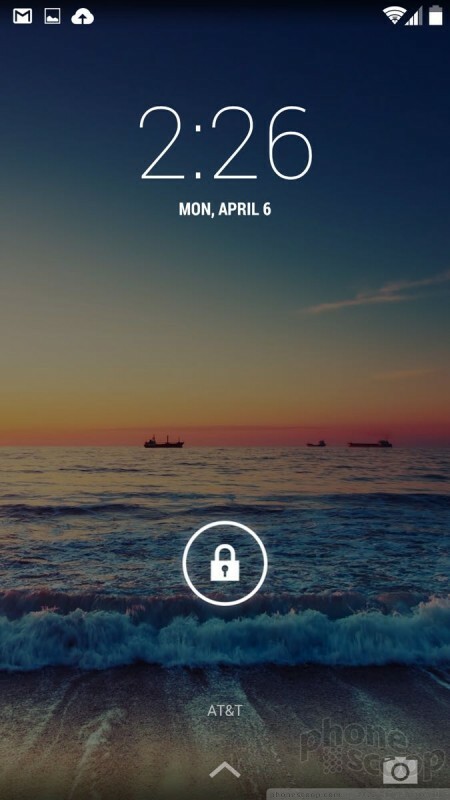 The lock screen, which can be secured via PINs, passwords, or patterns, includes only one shortcut, which is to the camera. 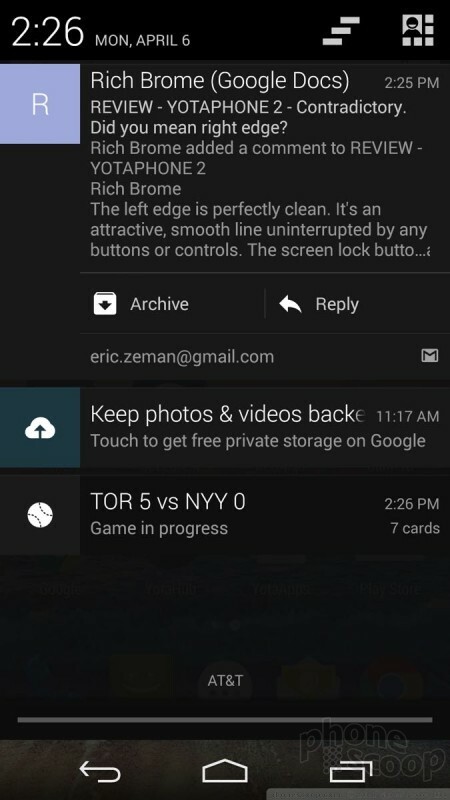 The notification panel and Quick Settings menu are accessible from the lock screen, too. 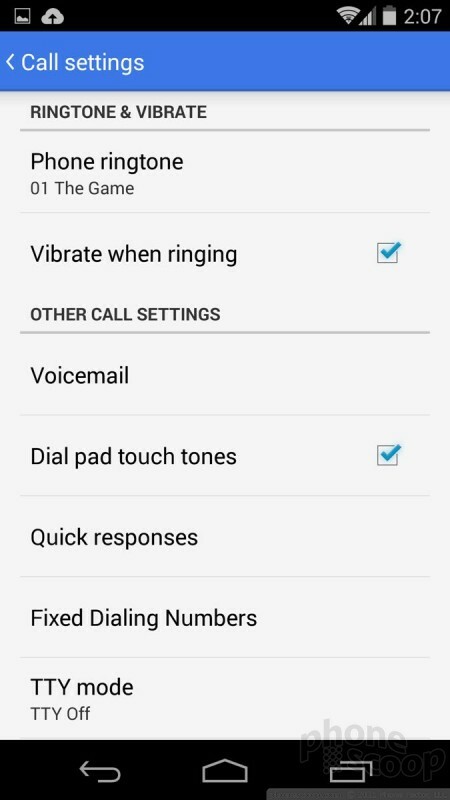 You can use the notification panel (one swipe down) to dismiss or act on incoming calls/messages, and the Quick Settings menu (two swipes down) to make adjustments to behaviors such as the radios and display brightness. 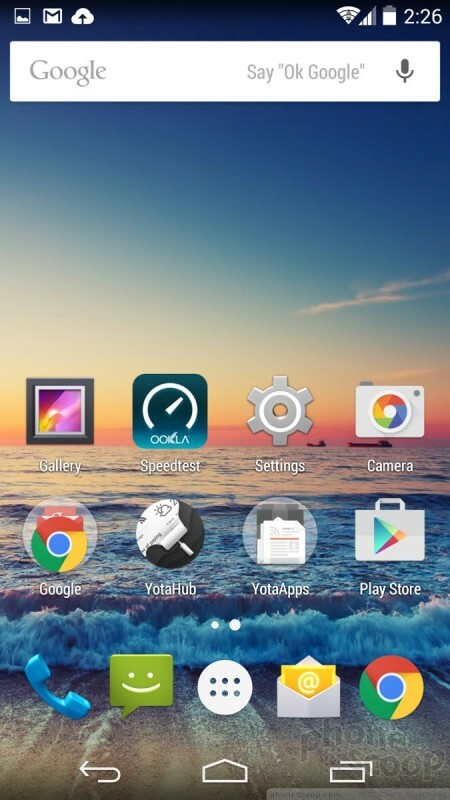 The Y2 has only one home screen panel active out of the box, but you can add as many as you wish. 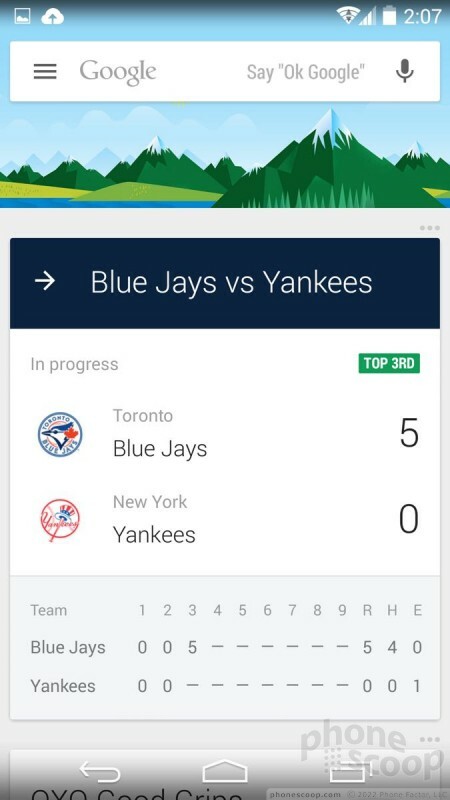 If you activate Google Now, the leftmost home screen panel will automatically house all the cards/information generated by Google's learning assistant. 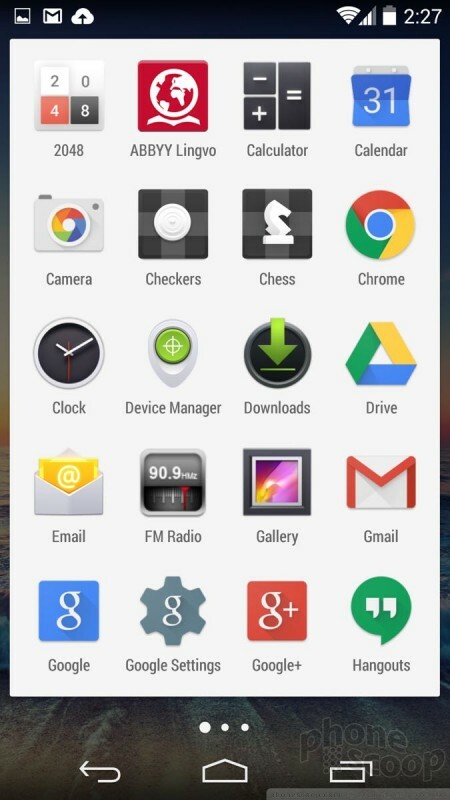 Android 4.4 KitKat and the preloaded apps offer a solid assortment of widgets for the home screens, as well. 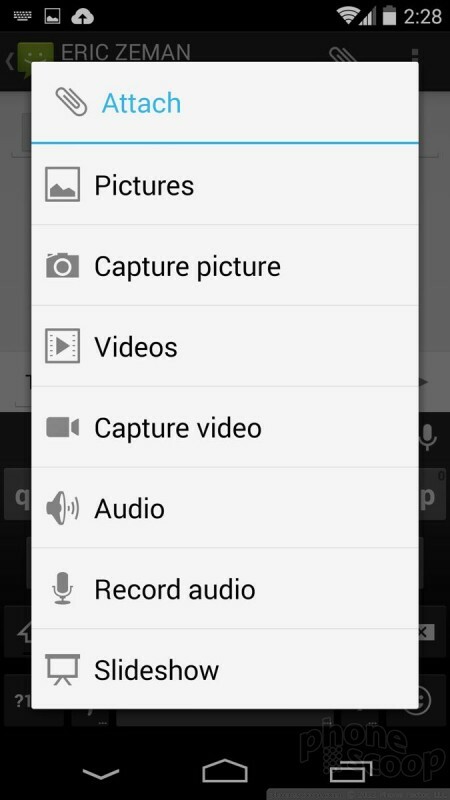 The main app and settings menus are unaltered by YotaPhone. 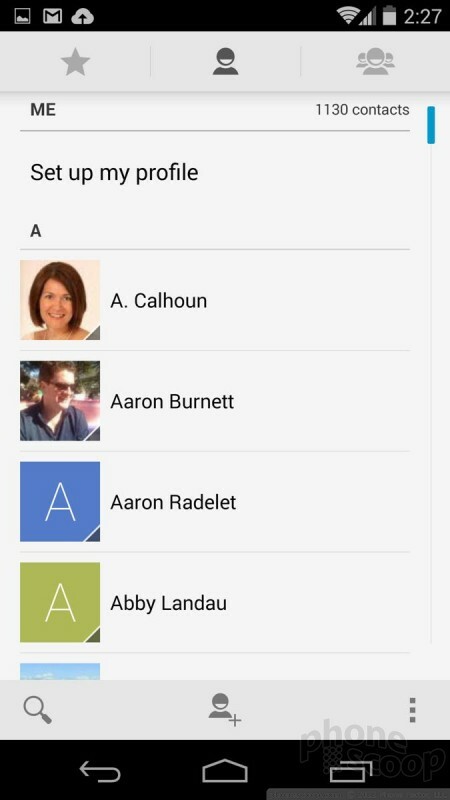 Apps are displayed in an alphabetical grid in the app menu. You can't rearrange the order, but you can create folders to manage them. 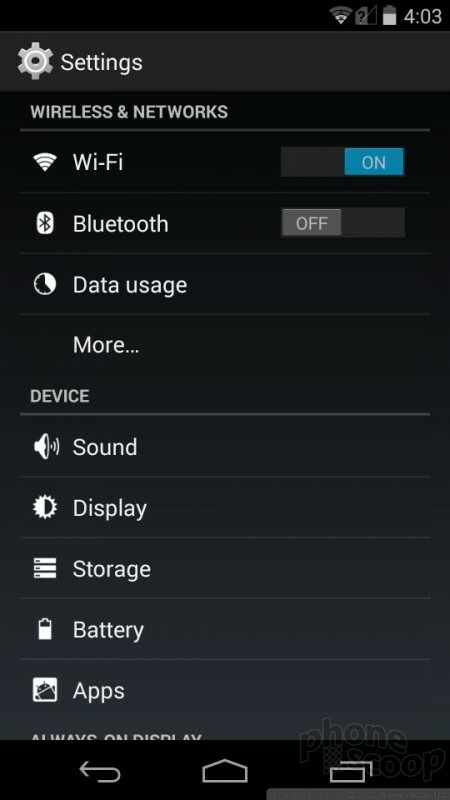 The settings screen is straightforward. 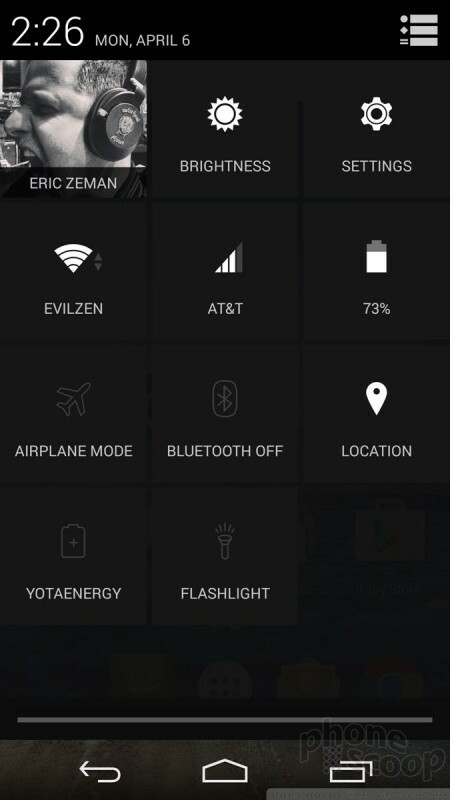 The only notable adjustment made by YotaPhone is the addition of controls for the e-ink screen. I found the Y2 performed well for the most part. 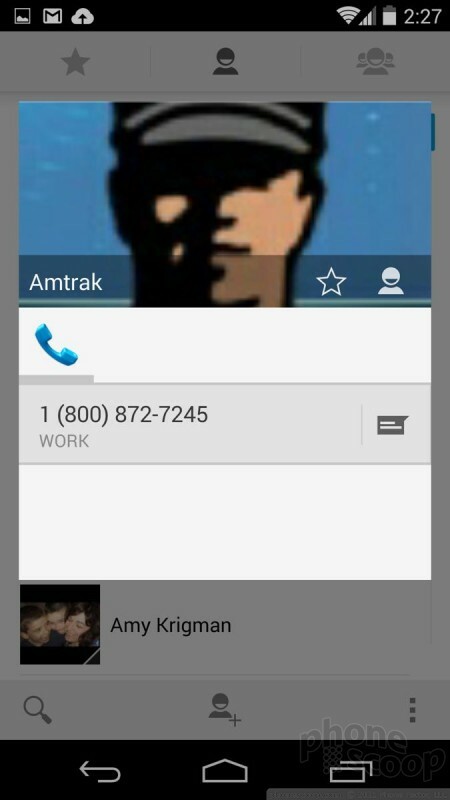 The phone didn't have any trouble running apps on the main screen. It never felt slow or buggy, and the device handled multitasking with aplomb. 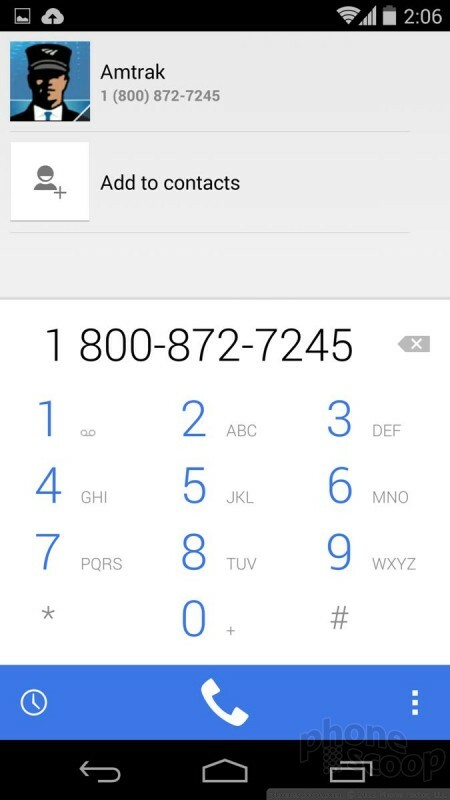 The YotaPhone 2 is using a recent version of the phone app from Google. When you open the app you'll see a search bar perched at the top of the screen with your speed dial / favorites arranged below. 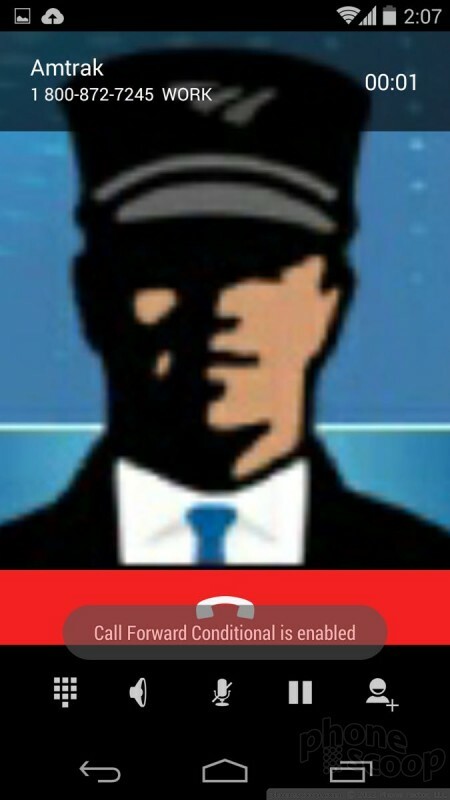 In-call options run the norm, and include tools for switching to the speakerphone or Bluetooth, muting the call, and adding a line. 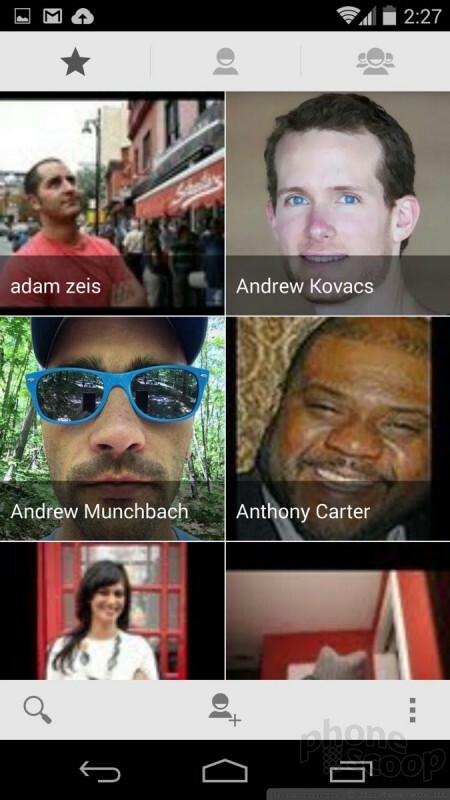 The People app has three tabs for viewing your favorites, all of your contacts, or your contact groups. Searching through your family, friends, and colleagues is a breeze thanks to the search tool. 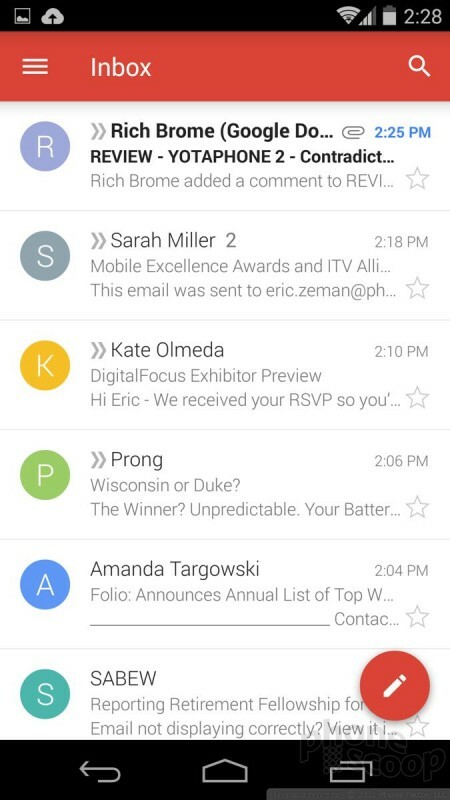 The app automatically syncs with your Google accounts if you use Gmail, but also supports Exchange and IMAP. 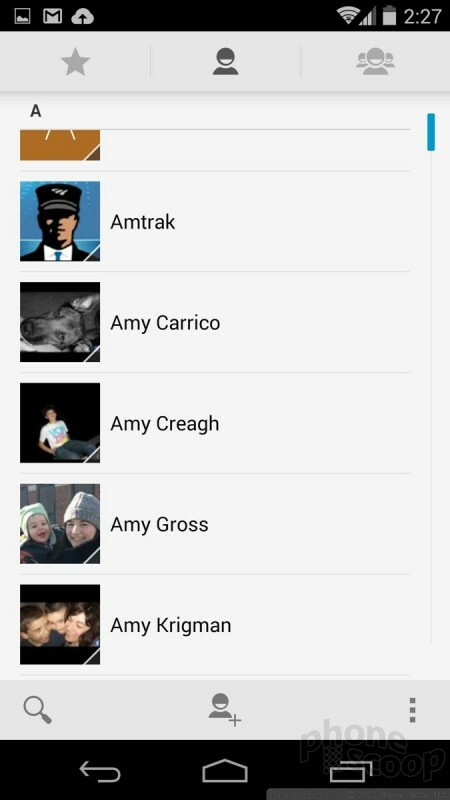 I like that the People app lets you sort between Gmail, Twitter, or Facebook contacts, if you have them synced to the phone. YotaPhone isn't breaking any new ground with messaging and that's a good thing. The Y2 is endowed with the standard set of communication apps, including Gmail, email, messages, and Hangouts. The latest version of Gmail handles Outlook, Exchange, Yahoo, and other email services, so it can be your master inbox if you wish. 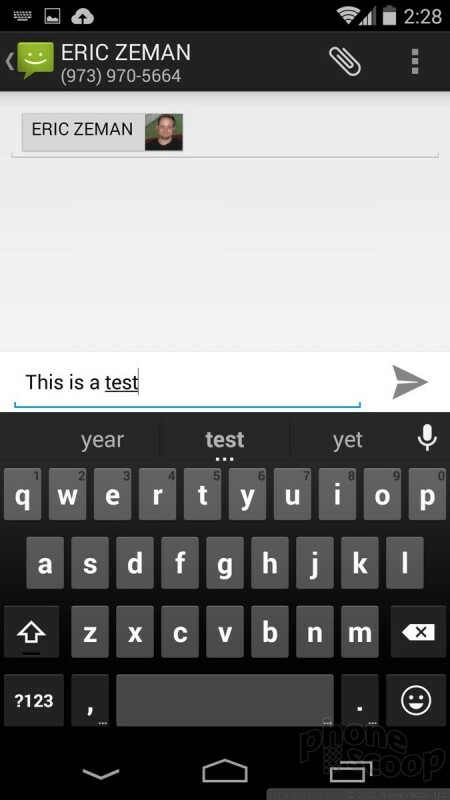 The older text messaging app is on board, and it is rather basic for SMS/MMS. 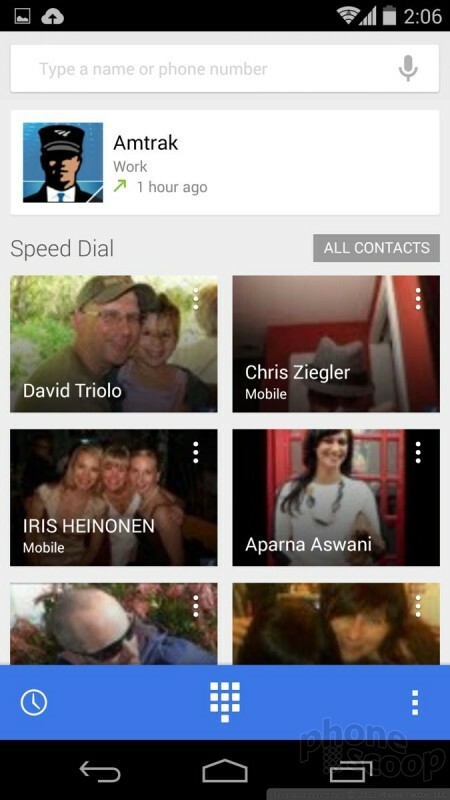 The newer Google Messenger app is available from the Play Store if you wish, or you can use Hangouts to handle both SMS and IM. I like the idea of using one app, but find Hangouts a bit confusing. There are no social networks preinstalled, and of course there are thousands of messaging apps available in the Play Store.